The Youth Programs at Grace Church have been a staple at the church over many years. The Youth Group, which consists of both high school and middle school students, meets regularly twice every month during the school year, where they participate in bible studies, games, movie nights, and many more activities! In addition to all of the meetings and other activities, every summer the high schoolers go on a week-long service trip called SERVE, to a church in either the United States or Canada, to meet up with many other youth groups and serve the surrounding community. 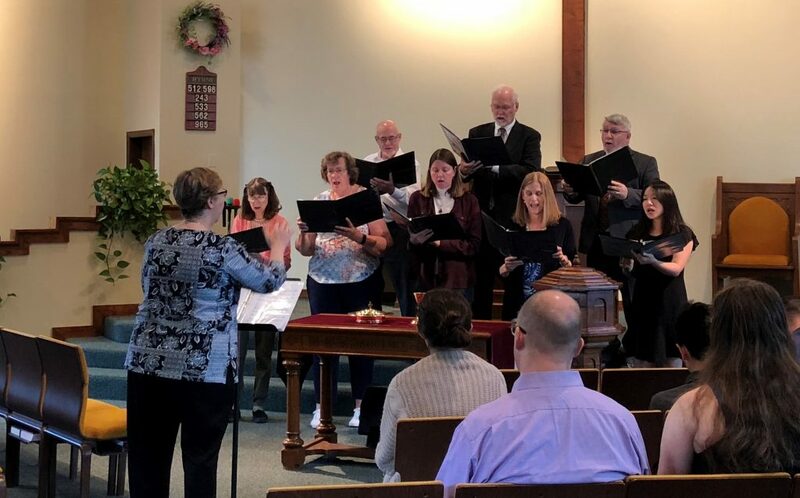 Grace Church has a very active and enjoyable selection of music programs tailored for singers and instrumentalists of all ages and abilities. We would love to have you join us in making a joyful noise to the Lord! They are all arranged to accommodate the choir members’ abilities, to provide the best possible experience for not only the choir, but for the congregation as well. The instrumental musical program ranges from mass ensembles for all ages and experience levels, to small group and individual performances. The mass ensemble plays for major Church holidays, including Christmas and Easter. All ages and experience levels are welcome to participate! Here are some samples of Grace Church musical performances! Holy Yoga is a ministry centered entirely upon God. Their mission statement is summed up in Isaiah 55:11: “So is my word that goes out from my mouth: It will not return to me empty but will accomplish what I desire and achieve the purpose for which I sent it.” Holy Yoga is a yoga practice set apart for the worship of God and the exaltation of His son, Jesus. It is an exercise regimen that employs stretching, strengthening, balancing, and breathing along with scripture reading, prayer and contemplation on the word of God. Below is a synopsis of the beliefs of Holy Yoga and statements of practice. Please feel free to check out their website for additional information. Interested in increasing strength, flexibility, and balance – all offered in an atmosphere of prayerful worship to our Lord? 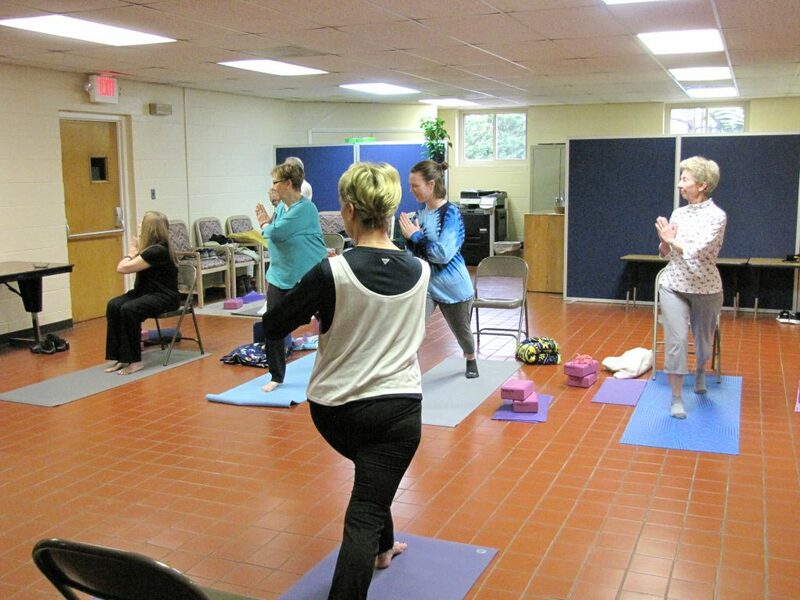 Join us for Holy Yoga on Tuesday mornings at 10:00AM in the church basement. Drop in and try out a complimentary class! Everyone is welcome so please feel free to bring a friend! Class sessions run for 12 weeks with interspersedweeks off (see schedule and fees below). You will need to bring a yoga mat (We do have a few to borrow.) and wear loose, comfortable clothing. A strap (old tie will do) is helpful but not absolutely necessary. Each class entails standing, seated, and floor poses. However, individuals who wish to stay seated will be able to modify all movements in order to do so. If you are interested and have questions, please call the church office @ 703.250.8033 or contact the instructor directly (see below). 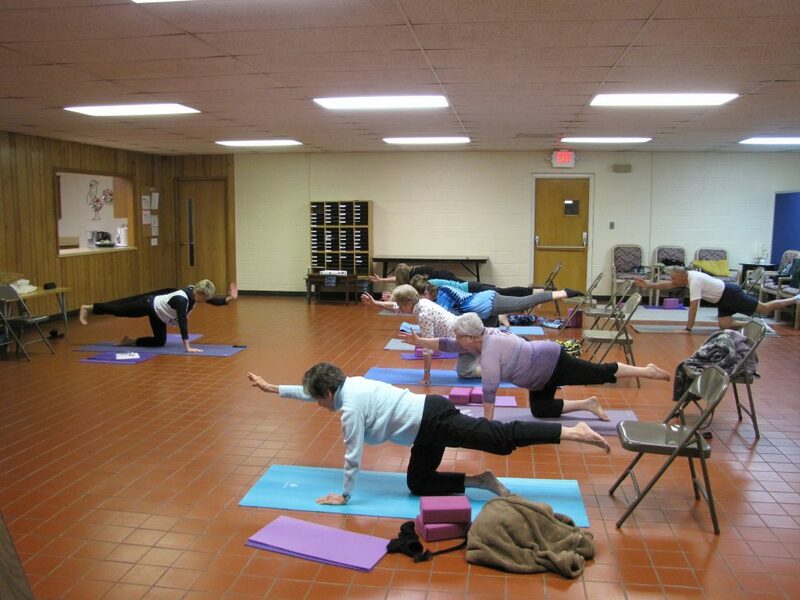 Instructor: Doris Applegate (R-HYI), Registered and insured Holy Yoga Instructor.